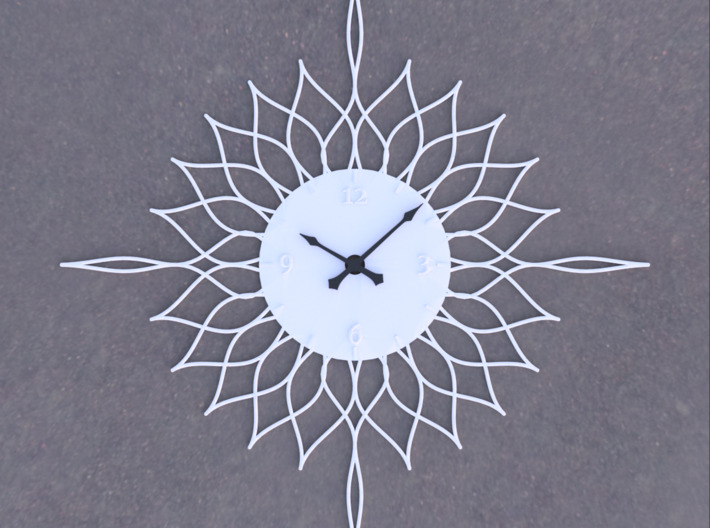 Modernism meets modern technology in this 3D printed geometric clock face inspired by retro Sunburst/Starburst/Atomic clock designs. 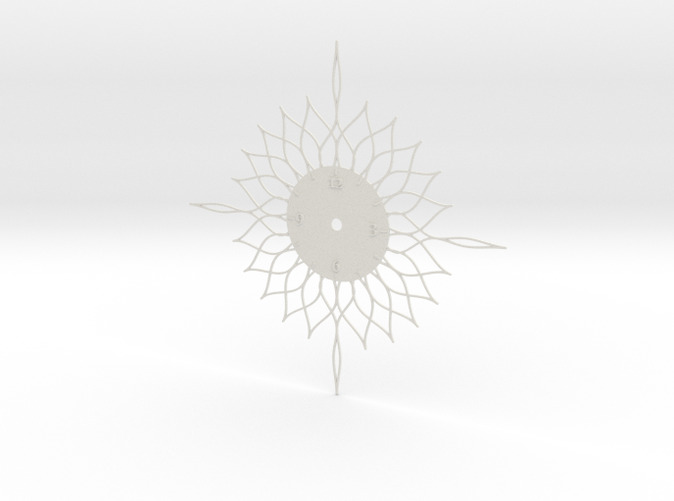 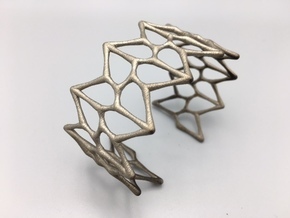 This design was procedurally generated from a random seed using OpenSCAD code, and is one of twelve unique curated designs in our Sunburst Clocks Collection. Our code is also free for private use and you can use it to generate your own unique clock face on our Thingiverse page: Design Your Own Sunburst Clock. 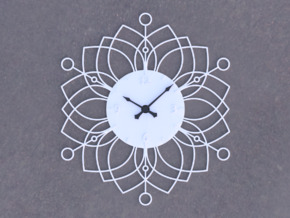 This order is for the clock face only. 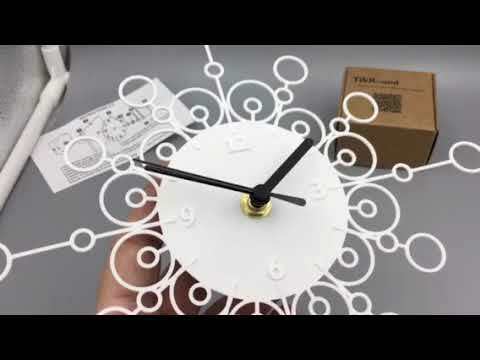 The design will work with any short-shaft battery-powered clock assembly, like this $8 kit on Amazon: Youngtown Silent Clock Movement with Short Hands.